Our Drill and Fill machine is great for golf greens and tee boxes, it can also be used for any badly draining areas such as rugby and football pitches. This process is ideal for Cricket squares and Tennis courts, it will alleviate pressure and compaction on these heavily trodden surfaces. Full spraying services including supply of the chemicals specially selected for your individual needs by our highly trained and licenced staff - at very competitive prices. We offer a broad product range to suit all needs and budgets, leveraging our years of practical experience in agronomy. A fantastic way to aerate and improve drainage on your cricket outfield, rugby, football or lacrosse pitch. As your playing season comes to an end, ensure that it will come back better and stronger the following year. Full spraying services including supply of the chemicals specially selected for your individual needs by our highly trained and licensed staff. Air injection relieves compaction, Increases porosity, promotes faster drainage and healthier root growth and allows oxygen into the profile. Using our years of experience we will asses your sports surface and produce a full site report and a recommended scope of works to get the best results from your facilities. Total Sports Ground Solutions (TSGS) provide a range of products and services to professional sports organisations, clubs, colleges and schools. TSGS will maximise your facilities, beating the increasingly costly issues brought about by our ever-changing climate conditions. Our expert team specialise in deep drill aeration. 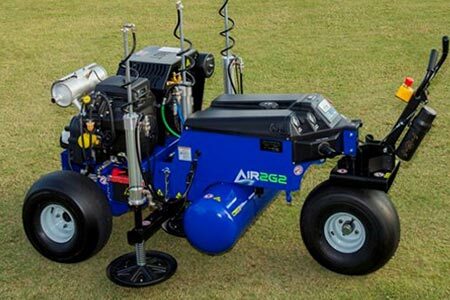 We operate the revolutionary Drill and Fill Aerator, which will solve many drainage and compaction problems on golf and bowls greens, cricket wickets, rugby and football pitches. 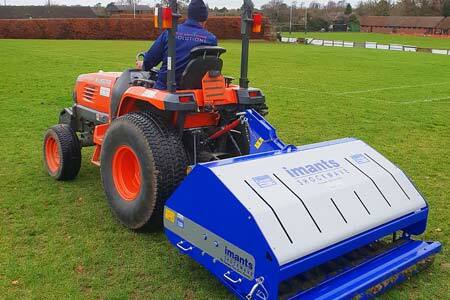 As well as innovative aeration, we provide groundsmen and clubs with a complete range of services, not just for fine turf, but also for maintenance and renovation of rugby and football grounds. From drill and fill to verti-draining, spraying and scarification, TSGS can give you sports surfaces to be proud of and get the most out of playing times. Operating the latest innovative equipment, we have a proven track record of being professional, reliable and good value for money, with a uniquely personalised attention to detail. Problems successfully treated include poor drainage, flooding, waterlogging, puddling, panning, compaction, and damage to the surface. Bonus benefits after drilling include deeper root penetration, improved grass growth, faster greens, a firmer green, less moss, healthier sward, better seed germination, less droughting and healthier overall ground condition. Keep up to date with everything going on and coming up at Total Sports Ground Solutions from upcoming events to ongoing maintenance. TSGS have the power of air! We have worked with David and his team for five years now. In that time we have had deep drill carried out on our main square, we have found the results to be beyond our expectations. It bought back bounce and carry so that both bowlers and batsmen got the best from the pitch. This season on David’s advice we had our outfield scarified which speeded it up tremendously and made it look highly professional. We are a premier league cricket side and the ground regularly hosts minor counties games made possible by David and his teams hard work and expertise. 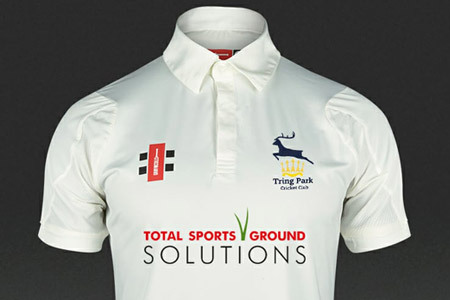 Total Sports Ground Solutions (TSGS) provide a range of products and services to professional sports organisations, clubs, colleges and schools. TSGS will maximise your facilities, beating the increasingly costly issues brought about by our ever-changing climate conditions. 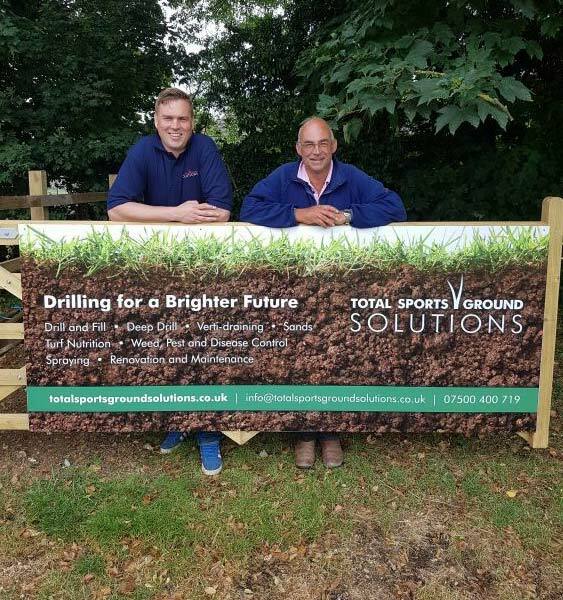 Our expert team specialise in deep drill aeration.